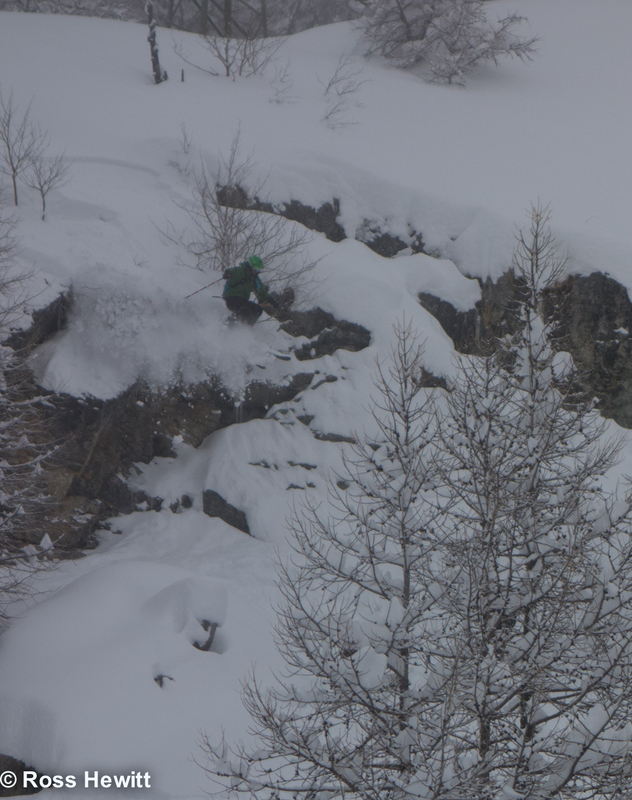 The endless European winter keeps on giving, the latest metre powder dump on the Italian side posing flotation problems for many riders. There is a 2 m rock barr hidden from view at the bottom of this 60 degree snow covered slab. Failure to keep the tips up upon landing resulting in a great face plant and danger of drowning. 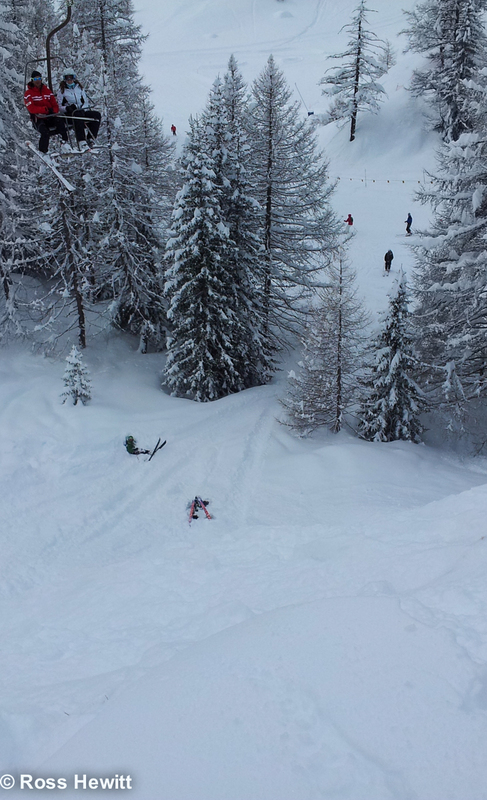 Not much terrain in Courmayeur was open but a few small rock jumps were fun.